Has it ever happened that the only ingredient you're missing for a recipe is the fresh citrus zest? With a little preparation and forethought, you can have zest on hand anytime you need it. One simple solution is to freeze the fresh zest. You can use this method on any type of citrus fruit, though you'll find that orange, lemon, and lime peels are called for most often in recipes. You don't need to buy fruit specifically for zesting, either. Whenever you have some citrus in the kitchen, simply zest it before extracting the juice or eating an orange and you'll never run out of fresh zest again. It is easiest to remove the peel from citrus fruits before cutting them open or removing the peel. In just a few minutes you can have zest ready for the freezer and be on your way to doing whatever you originally intended with the fruit. Wash the citrus fruit thoroughly and allow it to dry prior to zesting. Before juicing or cutting the fruit, remove the zest with a microplane, zester, or vegetable peeler. Make sure not to take any of the bitter white pith with the zest; you only want the colorful skin. Place the zest in a single layer on a piece of parchment or waxed paper and quick freeze it. Once frozen, transfer the zest to a zip-top plastic bag. Label it with the date and type of citrus zest, and store it until needed. The zest will keep frozen for about six months if kept tightly sealed. If you're just harvesting the zest, don't throw the rest of the fruit away. Juicing citrus is easy and there are a few methods to do it. Bottle the juice or use it right away in food recipes or drinks. It is not necessary to thaw the zest prior to use. Since it's frozen, it will retain the fresh flavor that it originally had. This means that you can use it in exactly the same way as you would fresh zest. The trick to using frozen zest is to overmeasure it slightly to compensate for any ice crystals. For instance, when a recipe calls for 1 teaspoon of fresh orange zest, measure out 1 1/2 teaspoons of frozen zest. 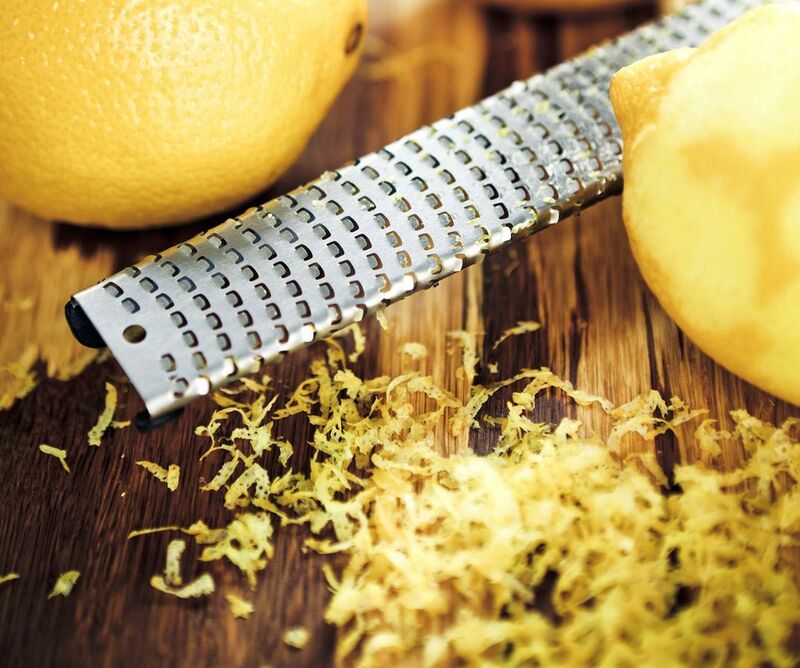 There are a variety of ways to preserve citrus zest. You might see recipes that call for fresh, dried, or candied zest and each has a specific use in cooking and baking. They can, however, be used as substitutes for one another in certain applications. In general, freshly grated zest should be used as decoration on iced breads, cakes, and cupcakes. Because it locked in the freshness, your frozen zest should do just fine for these, as well as any recipe that calls for zest without any other qualifier and those that recommend dried zest. Drying grated citrus zest is just as easy as freezing it, though it does take a little longer before it can be stored. It is just as delicious as fresh zest when added as an ingredient to baked goods, marinades, and drinks. Either option can also be used to make lemon sugar. The other option is to make candied citrus peel. In this process, long, thin strips of citrus peel are boiled twice to remove any bitterness before being added to a mixture of water, sugar, and corn syrup for about 1 hour. The peels are then dried out to use in baked goods or dipped in chocolate for a special treat.